Hydrogels are raising an increasing interest in the biomedical field and have found applications in tissue engineering and regenerative medicine. 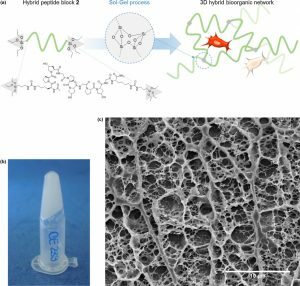 In order to mimic the complexity of natural tissues, functionalization of hydrogels with bioactive mols. is of first importance. 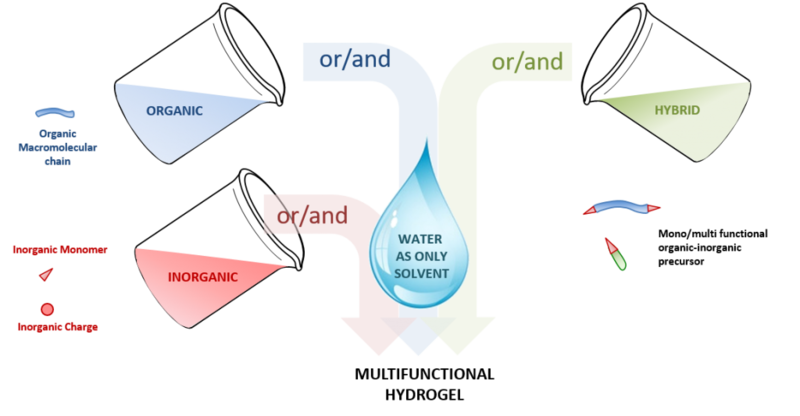 In this context, we developed a bottom-up approach based on the synthesis of hybrid silylated blocks that can be combined to obtain covalently functionalized gels. In this study, hybrid silylated PEG and hybrid silylated bioactive peptides were synthesized and mixed in desired ratio before being simply dissolved in phosphate buff-er at physiol. pH to form a gel. The soln. turns quickly into a covalent functional gel at 37 °C. Mech. properties of these hydrogels were studied and their biocompatibility was demonstrated. 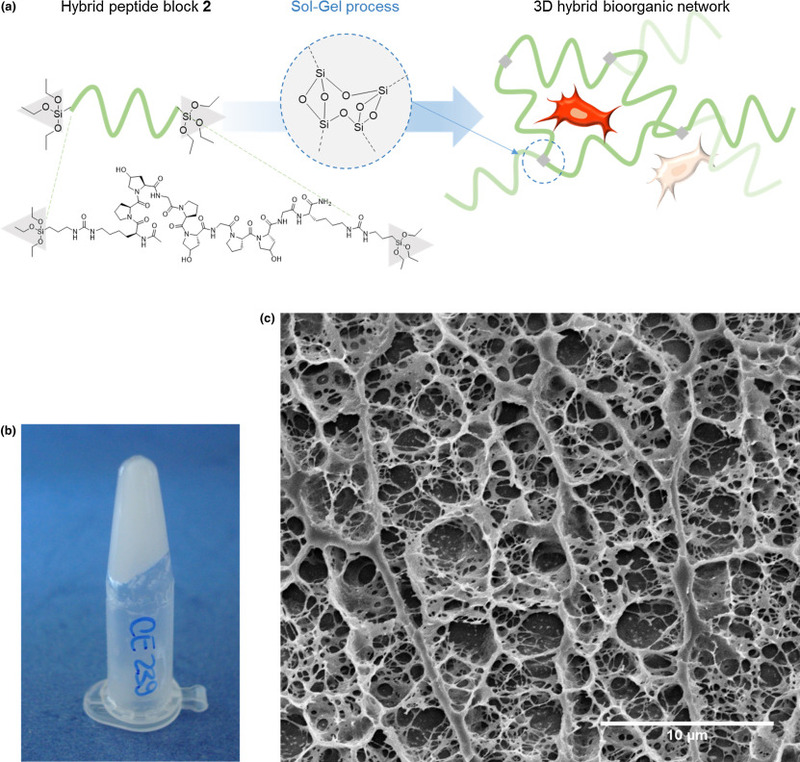 Depending on the type of bioactive peptides introduced within the gels, they exhibited either antibacterial or cell adhesion properties demonstrating the potency of this sol-gel modular strategy for fine tuning of gel properties.